Considered as the big boss in terms of zoo with more than 60 tigers, Mr. Robert Laurel Yupangco of Yupangco Group of Companies & the grandson of the Philippines former president (Jose P. Laurel) believes in the power of digital marketing and social media. In fact, the annual event “Power Of Three” at Paradizoo from January to March, all weekends, there’s events specifically for bloggers and online writers. All parks also are open to all online writers for free. 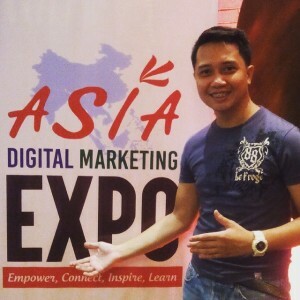 Mr. Robert Yupangco is also equipped and surrounded by digital marketing experts who are helping his empire in terms of dissemination of information and to reach the target clients. Maria Camille Montejo– CEO, NWSteel Technologies & Tree Top Adventure Inc. This entry was posted in Swoosh News and tagged adme, asia, digital marketing summit, tina pang. Bookmark the permalink.